In most genres of cinema, the sequel is almost inherently worse than the original. However, horror is not like most genres. Sequels can sometimes match the quality of the original or surpass it. The reason could be related to a higher budget, more attention from studios, less attention from studios, or just the result of taking scares and creativity to the next level. 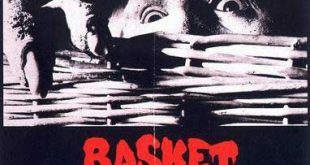 I took a look at several horror movie series, and categorized them by how easily you can make a case that the sequel, prequel, or requel (thanks Bruce) is better. In the sequels debate, these movies will slide into the jugular of your film buff adversary. Why? Because they are nearly irrefutable. These sequels follow the mythos of the original films, but surpass their predecessors to become genre-defining works. The original Frankenstein (1931) is a classic. It’s a tale of man defying nature and god to create a being that does not belong in this world. Boris Karlof helps us see the humanity in this tormented being, who eventually becomes what the world sees him as: A monster. It’s a crisp and clean take on the book that became the first movie marketed as horror. Its sequel The Bride of Frankenstein takes us beyond by going inward. The director of both films, James Whale, was an openly gay man, who (it’s believed) used the sequel to express his anguish over the difficulty of finding a partner. That by itself makes the sequel more interesting. Bride doesn’t stop there. It’s humorous, the special effects are surprisingly effective, and the art direction is iconic. Most importantly, Bride is more fun. My wife and I sat down to watch both films last Halloween (thanks Shudder). 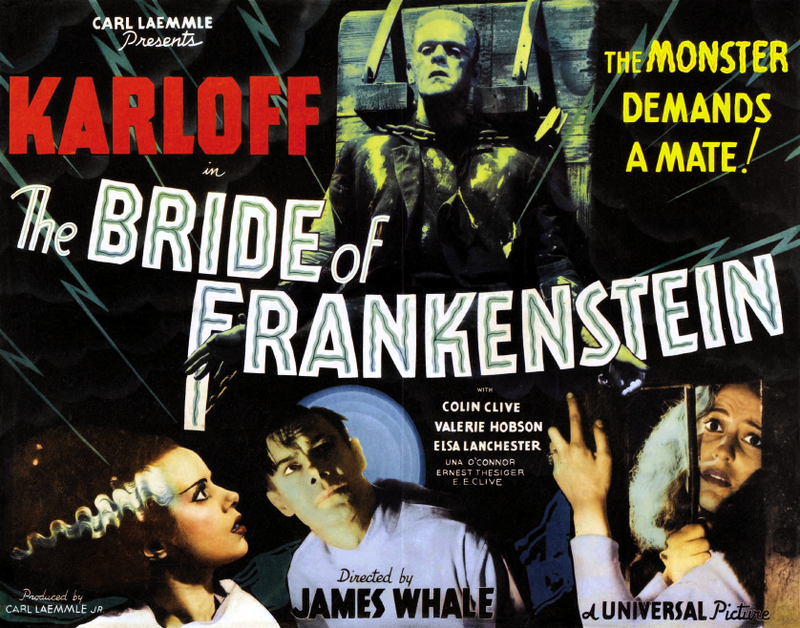 We trudged through Frankenstein, and glided through The Bride of Frankenstein. Both are classics, but that day was all about the bride. Let’s start with the obvious: Evil Dead is a horror classic. Its shaky camera style and creative practical effects scared the hell out of 8-year-old me. More than a half-decade later, I expected something similar from Evil Dead 2, but instead I got chainsaw-carving, blood-spewing, eyeball-popping, corpse-dancing fun. ED2 had the B-movie grit I loved, but also added some insane comedic elements, and was much more deftly directed. For instance, the shaky camera barreling through the woods and smashing through a window was very effective in the original. In the requel (as Bruce Campbell calls it), Sam Raimi used the same shaky camera shot to chase Bruce through the house. And I mean through it – the kitchen, living room, bedrooms, inside the walls. You could almost feel an evil hand reaching out to grab Ash’s shoulder. It was intense, yet still playful. 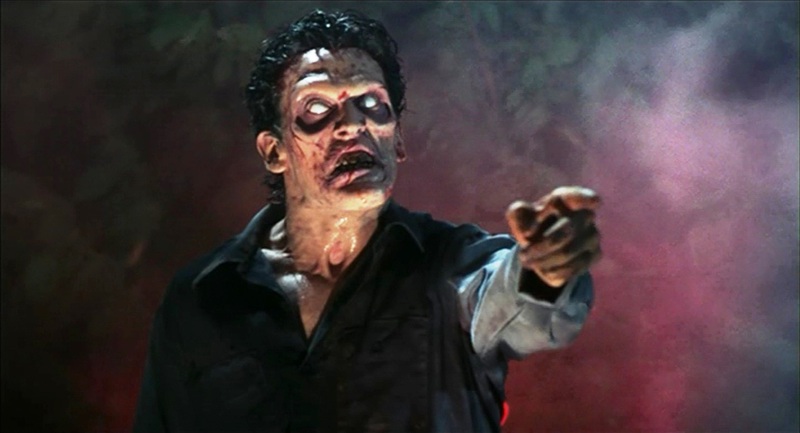 I love Evil Dead, but in the sequel, Sam Raimi’s growing skillset was on display. Hell, even Roger Ebert loved the movie and Leonard Maltin begrudgingly upgraded his review after giving it more thought. Making a case for these sequels takes a little footwork, and a little knifework, but ultimately your fellow film debater is left defenseless. Thank god Ouija made enough cash in 2014 to get its prequel green-lit. The original is a by-the-books haunted house story that’s watchable, but not overly exciting. That changes with Ouija: Origin of Evil. Director Mike Flanagan (Absentia, Oculus, Hush) does his best James Wan impersonation here, taking a down-on-their-luck family and terrorizing them for 90+ minutes, much like The Conjuring. In Ouija, Olivia Cooke stood out among a so-so cast (Lin Shaye had her moments, as well). In Ouija: Origin of Evil, the entire cast was strong, led by Elizabeth Reaser (Twilight, True Detective) as a relatable struggling mother and Lulu Wilson (Annabelle: Creation, Deliver Us from Evil) as her haunted daughter. Stylistically, Origin featured several creative camera shots that you wouldn’t find in the Hasbro-esque original. Most importantly, the movie felt like a real story of a family trying to recover from a death, as an evil force moves in; and not just a 90 minute board game ad. The first movie in this series, Ju-on: The Curse, is a charming, low-budget frightfest that introduced us to a pair of now-iconic ghosts. It appeared on television in 2000, scaring the crap out audiences, and growing in popularity as people shared videotape copies. There are continual scares throughout, ending with a freaky staircase-descending climax with which we’re all now very familiar. It was followed by a second movie aptly titled Ju-on: The Curse 2. 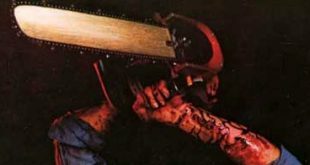 Because of their success, writer and director Takashi Shimizu was able to make a theatrical version with a bigger budget that, like Evil Dead 2, is part sequel, part remake. Ju-on: The Grudge is more polished and refined than its predecessors. The upgraded CGI allows the ghost boy to stretch his mouth impossibly wide and makes the mother’s stair descension simultaneously stilted and fluid. Improved audio makes the ghastly moaning a little crisper and the wailing much more shrill. A better script eliminates a ridiculous scene about the spiritual significance of sake, and how it can be used to ethically sell a haunted house (yes, this really happened). Most importantly, Ju-on: The Grudge fixes a confusing plot reveal about jealousy and revenge that I won’t spoil for you. Instead, it offers a clean-cut ending with an “aha” twist. The original is worth watching. It’s available for free on YouTube. But the remake, Ju-on: The Grudge, is far superior. Watch it even if you’ve seen the American remakes. Terror Rises 3: Why Won’t You Stay Down?!? If you bring these sequels to the argument, you’ll get some pushback, but in the end, if you stay at it… and at it… and at it… you’ll bash through your opponent’s argument. Paranormal Activity and its five sequels have brought in $400 million dollars at the box office. That’s more than the “Taken” or “Pitch Perfect franchises”. The first Paranormal Activity scared audiences (and me) by letting emptiness fill the screen visually and aurally, then getting them (and me) with jump scares. Paranormal Activity 3 is a prequel that boosted those scares thanks to the ingenious use of swivel-mounted cameras. They painfully pan back-and-forth, turning that screw in your brain, and making you fear what’s happening off-camera as much as on-camera. The film also mixed in a little humor, giving a relief to the tension. Some people were not fans of the finale, but I don’t mind the attempt to bolt-on a little mythology to the series. Yes, this is actually a sequel to one of the most prominent movies of all time. And, yes, it’s better… at least in my experience. First, let’s get the “it’s not a sequel” nonsense out of the way. John Russo helped write Night of the Living Dead, along with George Romero. The two decided to each take the story and branch off into two different directions (there’s a whole copyright issue here, but we’re not getting into that). Night of the Living Dead historically featured a black man as a lead and it’s the root of an immensely popular sub-genre of horror. The scares still hold up (I’ll never forget the little zombie girl). And a half-century later it’s still very watchable. 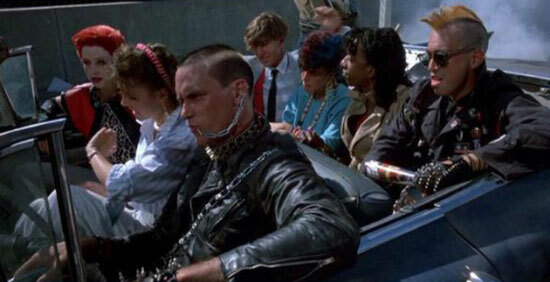 However, Russo’s Return of the Living Dead is one of the most fun movies you will ever see. That’s not hyperbole. It features brains, braaaaiiinnnsss, and more brains! Not to mention the cartoonish-but-likable characters, incredible practical effects, a kickass soundtrack and main theme, and action that never let up from the split dog to the smell of Tina’s brains wafting from the attic. 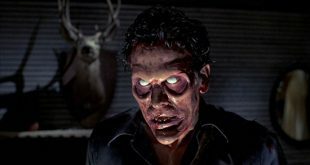 Return also gives us a realistic peak at the cold, cramping, vomit-inducing, brain-craving transformation into zombiedom. To summarize, Night of the Living Dead will be a better subject for your paper on social change through film. 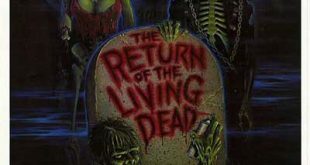 Return of the Living Dead is a better option if you want to crack open a beer and have fun with friends. Despite your repeated argumentative slashes, your adversary’s counter-claims just won’t die. Why? Because you’re both right. The originals are genre classics, but that doesn’t mean you can’t make a case for these sequels. So grab some coffee and board-up the windows. This fight could take until dawn. I first saw Nightmare on Elm Street when I was seven years old. My sister let me join her friends during a sleepover. The movie filled my nights with terror for weeks. I didn’t see it again for four more years, and it terrorized me again. Nightmare on Elm Street is a gold standard for horror; most of its sequels are not. Two movies do stand out. The Dream Warriors is when Freddy Krueger truly becomes a star. This time around the victims have powers of their own. The atmosphere is a little more cartoonish, but allows for more creative showdowns. The movie is also cleverly infused with pop culture references. A New Nightmare goes in a different direction, with a meta storyline, that’s about the making of a new Nightmare on Elm Street spinoff. Freddy stalks the series’ star, Heather Langenkamp, and her character Nancy. Wes Craven’s self-referential storytelling roots take shape in New Nightmare, years before they take off in his “Scream” series. The original Nightmare on Elm Street is a horror movie classic and its atmosphere is still suffocating today. Its sequels, though, deliver much more than good scares. The third and seventh movies of horror franchises are often tedious, but these sequels take Freddy’s nightmare into whole new directions, redefining the genre in the process. Are they better than Nightmare on Elm Street? It’s debatable. But is it? Jeffrey Jacob Abrams and his marketing team have managed to pull off a near-impossible feat in the Internet era: Keep secrets secret. They give hints and clues on social media, fake websites, and quick reveals in trailers – all building anticipation until release date. 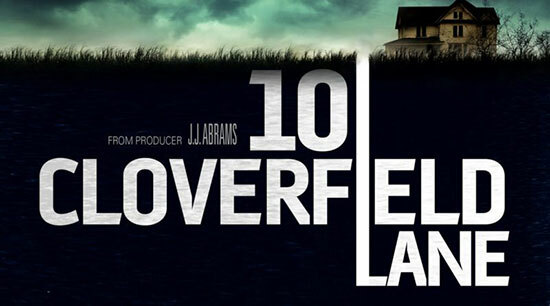 I remember sitting in the theater halfway through 10 Cloverfield Lane, wondering if an Internet rumor was true, and the movie was part of the “Cloverfield” universe. I loved the first Cloverfield. The city falling apart. Glimpses of a giant, mysterious creature. The escalating plot that means life on Earth will never be the same. It’s great. But it does have one major problem: I never connected with the characters. In 10 Cloverfield Lane, I had no problem connecting. Potential genre queen Mary Elizabeth Winstead… (I’ll pause to let you IMDB her film and TV history)… made me deeply care for her well-being. The movie kept me guessing about whether she’s safer inside or outside the shelter. Is it as John Goodman’s character says, a worldwide disaster? Or is he just a lunatic trapping people below ground as part of some maniacal plot? The final act took the answer, injected it with bath salts, and unleashed it on me. Jaw-dropping is usually hyperbole, but in this instance, my jaw f***ing dropped. It stayed agape until the credits. Then I wooed. In a public setting. I can’t tell you the last time that’s happened. Classic first movie. Brilliant, and probably better, sequel. Top Recommended Films You should Never Watch Alone! 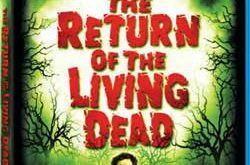 Greatest remake of all time, IMHO, is the 1978 version of Invasion of the Body Snatchers. Excellent remake. This is a list of sequels.